Mylan on Thursday finalized its $465 million settlement with the U.S. Justice Department over allegations that it overcharged the government for EpiPen by misclassifying the auto-injectors as a generic drug to avoid paying Medicaid rebates. The Justice Department accused Mylan of marketing and pricing EpiPen as a branded drug, but classifying it as a generic for Medicaid, and quadrupling the price of the treatment for life-threatening allergic reactions between 2010 and 2016. The sharp price increases fueled a nationwide debate on drug pricing. Sanofi, which makes a rival injector called Auvi-Q, asked the Justice Department to investigate Mylan in 2014. Sanofi will receive $38.7 million of the federal settlement, plus a share of states' recovery, for bringing a False Claims Act lawsuit in 2016. Medicaid requires pharmaceutical companies to provide their products at a discount to the government. Most branded drugs are either 23% less than the average manufacturer price, or the difference between that average price and the lowest price they sell anywhere, adjusted by inflation. Medicaid receives a 13% rebate on generic drugs from the average price. HHS' Office of the Inspector General estimated the misclassification cost Medicaid $1.27 billion in lost rebates from 2006 to 2016. Under the terms of the settlement, Mylan's Medicaid rebate practices will be monitored for five years under a corporate integrity agreement, according to the HHS Inspector General. "Mylan's agreement with CMS to correctly classify EpiPen is a huge win for Medicaid beneficiaries and American taxpayers," said CMS Administrator Seema Verma. "Medicaid will no longer be overcharged for EpiPen, protecting access for Medicaid beneficiaries who rely on this lifesaving drug while saving hundreds of millions of dollars. This announcement puts drug manufacturers on notice that CMS remains vigilant in our duty to protect the integrity of the Medicaid program." 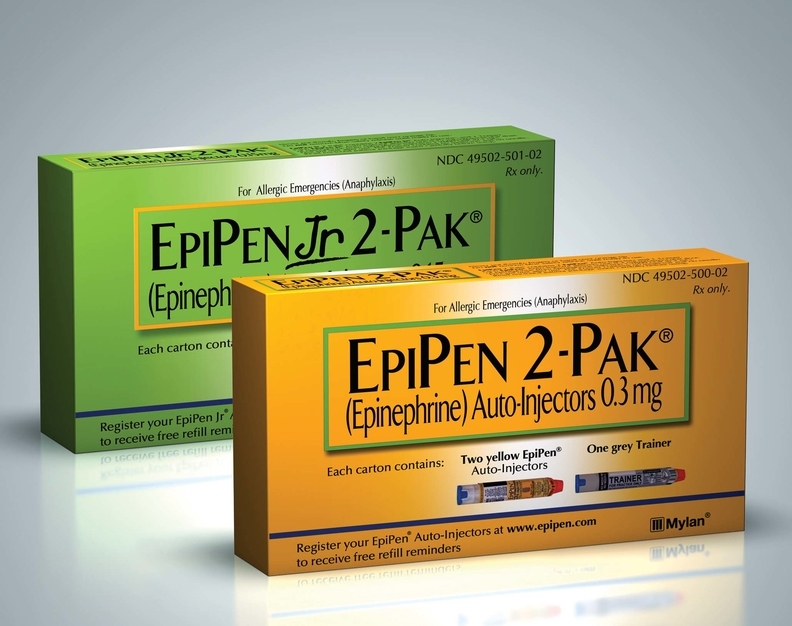 Mylan said that EpiPen had been classified with the CMS as a generic since before the company bought the drug in 2007. The company admitted no wrongdoing as part of the settlement. "As we said when we announced the settlement last year, bringing closure to this matter is the right course of action for Mylan and our stakeholders to allow us to move forward," Mylan CEO Heather Bresch said in a statement.